At Lucy Peters, we strive to provide the personalized service that will keep you beyond satisfied. Microdermabrasion is a non-invasive skincare procedure that uses advanced exfoliation to gently removes dead skin cells that dull up the skin. Microdermabrasion is a cosmetic treatment that holds appeal for those of all ages and skin types. 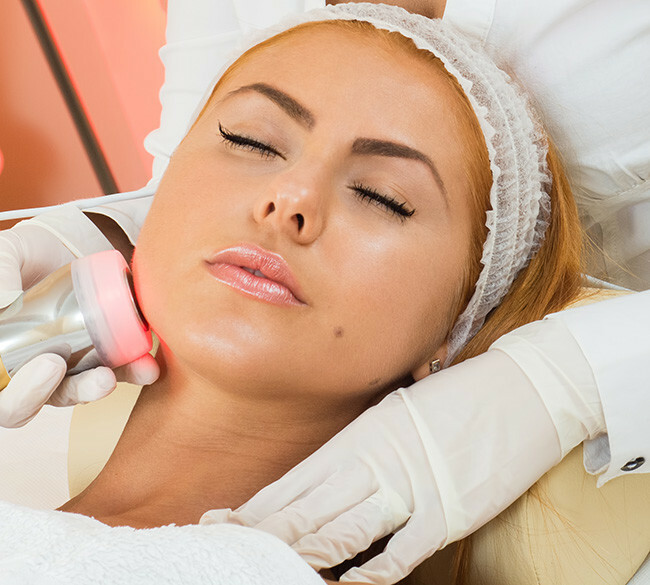 Since microdermabrasion produces only a very superficial depth of skin removal, it works best on improving conditions on the surface of the skin such as early photo-aging (sun damage), fine lines, age spots, acne, and superficial scarring. NYC clients receive Microdermabrasion treatments to make their skin look younger by carefully polishing away surface irregularities such as fine lines, discoloration and hyperpigmentation. Microdermabrasion treatments are often referred to as the “lunchtime facial” because they can be completed in as little as thirty minutes. Microdermabrasion sloughs off the dead and dull surface layers of the skin, stimulating an increase in collagen production and rejuvenation. Many patients see dramatic improvements in the tone, texture, and color of treated areas after just one treatment. The first step in a Microdermabrasion treatment is to clean and tone the skin. Hot steam is used to open up the pores. Then special tip gently exfoliates dead skin cells which are vacuumed away as quickly as they are loosened. The tip glides over the skin, gently polishing and removing the congestion. We then utilize a sophisticated wand to suction and gently remove the outer layer of the skin. A high-speed instrument with an a variety of specialty tips are used to remove the outer layers of your skin and improve any irregularities in your skin’s surface. In microdermabrasion, tiny crystals are sprayed onto the skin to gently remove the outer layer of your skin. This technique is less aggressive than dermabrasion, so you don’t need numbing medicine. It is basically an exfoliation and skin rejuvenation procedure that leaves skin looking softer and brighter. It’s a quick process that will eliminate discoloration, hyperpigmentation, and fine lines. Lucy Peters Aesthetic Center offers microdermabrasion and custom facial services in Manhattan for all your aesthetic needs. Get your youthful looks back with Lucy Peters. Tailored to meet your needs and desires, your microdermabrasion or custom facial treatment plan will be discussed and determined prior to beginning any part of your aesthetic treatment process. Our customized treatments may include deep cleansing, exfoliating, extracting, hydrating, calming inflammation, and combating breakouts. Every treatment is personalized and customized. Clients receive a complementary beauty consultation from one of our expert staff members. The staff at the Lucy Peters Aesthetic Center in Manhattan are beauty experts, many with years of experience in the field. Lucy Peters staff are extensively trained in modern, cutting-edge beauty and aesthetic techniques. We use superior technology, and we have an excellent track record with our patients.Same day service is often available, especially for repeat customers. We understand you’re a busy professional, and we strive to accommodate your schedule and provide you with the earliest possible appointment. Our convenient Manhattan office means you don’t have to lose half your day to the pursuit of beauty.